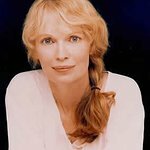 UNICEF Goodwill Ambassador Mia Farrow will travel to Chad and the Democratic Republic of the Congo in a 10-day trip starting Sunday to support a global push to make polio a part of the past. The visit comes at a pivotal time in the global fight against polio. In January, it was announced that India for the first time reported no new cases of the crippling disease for a full year. Afghanistan, India, Nigeria and Pakistan are among the last four polio endemic countries, down from 125 in 1988. Farrow, who had polio as a child, carries the message that the world can learn from the experience of India and further strengthen the collective push for polio eradication – especially following outbreaks in countries that were once polio free, including Chad and the Democratic Republic of the Congo. Experts fear that gains made from a massive global health push – which has included 20 million volunteers immunizing 2.5 billion children since 1988 – could be lost, just as the world is on the brink of eradicating the disease. An important part of fighting polio is to ensure that children have access to clean water, basic sanitation and proper nutrition for them to absorb the vaccine and avoid contracting polio and other diseases. In Chad, the issue of nutrition is especially urgent. The Sahel region, including parts of Chad, is currently experiencing a food emergency, with some one million children under five in need of life saving treatment in feeding centres. Farrow will travel to the city of Mao to highlight the urgency in providing nutritional support to children and their families who lack food and water due to poor rains and failed harvests. In the Democratic Republic of the Congo, a country that has witnessed years of violent conflict that has claimed the lives of over 5.4 million people, Farrow will visit the Kalemie region before wrapping up her visit in Bukavu in South Kivu. 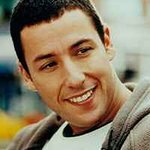 The internationally acclaimed actor and humanitarian joined UNICEF as a Goodwill Ambassador in 2000. She continues to be a tireless advocate for the rights of the world’s most vulnerable children, especially those impacted by conflict and violence. This will be Farrow’s 14th trip to Chad and her second trip to the DRC.